A few months ago and coinciding with Apple’s last keynote held on October 30th, a friend was surprised that he had not yet written in this blog about Apple and its product strategy. The truth is that I’ve thought several times about using Apple as an example of how to launch a product on the market, but so much has been written about the subject that I prefer to deal with it from the opposite perspective: what mistakes to avoid when launching a product. And what better example to illustrate these errors than one of my favorite products of all times, a product ahead of its time, a novel product, quality, technological but that failed miserably: the Segway PT. Before we get into flour with the errors, let’s do a little memory for the millenials who believe that the electric skates were invented by Xiaomi. The segway was launched in 2001 by Dean Kamen with the aim of revolutionizing world transport. It was a 2-wheel parallel electric vehicle with gyroscopic system and high handlebars. After the initial launch the sales figures were not as expected and although the company continued to develop the product, it was clear that it had remained a very expensive niche product. The company changed owners several times and in 2011 it had one of the most surreal events in the business world: the company had been acquired by Mr. Heldesen and during the trial of one of the Segway models on his estate, he fell down a cliff and was killed. Recently in 2015 it was acquired by the Chinese company Ninebot, one of the giants of the new market of electric scooters, who is in the process of updating the Segway product catalog. Unrealistic expectations: when launching any consumer product, it is important to manage expectations well so as not to cause frustration to customers. The launch of the Segway is remembered as one of the most anticipated and expected. Before launching it, celebrities who saw it said “it was going to change the transport”, that “it was a game-changer”, that it would sell “10,000 units a week” or that “it would be the product in reaching the million dollars of sales in less time in history”. The media campaign, PR and creation of buzz was spectacular but with the great risk of not being able to meet expectations (as it did). The reality is that in this hypercompetitive world, there are very few companies/persons (e.g. Apple or Elon Musk) whose announcements are expected by the market and who can therefore use it as a marketing tool. Take-away: avoid giving expected sales figures when launching as well as using concepts such as “game-changer”, “revolutionary” or “product of the century”. Target not defined: the Segway was intended to be such a generic product that it did not even bother to segment its target market. It sought to compete not only with any means of transport (bike, motorcycle and even car) but also to change the habits of those who move around on foot. The problem was that the characteristics of the product (price, functionality, autonomy, etc.) did not fit with many of these segments. Why would someone with a bike spend 5,000 € on something that had already solved? was it possible to move on the sidewalks? with a limited autonomy would I be able to replace motorcycles and cars? Obviously the only market segment that reacted to the launch was the techies-early-adopters, but as could be seen in the early months, there are not so many that could be spent the € 5000 that cost. Take-away: be prudent and conservative when making a business case by selecting a limited but known and realistic target. There will always be time to extend it. Choosing the wrong channel: Segway chose the general media as the loudspeaker for its hype campaign (in fact it was launched in the Good Morning America program). But for a product without a clear application and with a high cost perhaps it was not the best option. Talking about the product in general TV, radio and press programmes probably discouraged the luxury/elite segment but failed to attract the mainstream market. Take-away: choose the right channel for the product’s target and communication capabilities (budget, materials, etc.). Quality of impact is more important than quantity. Bad timing: arriving too early or too late. In the case of the Segway, it was too early: expensive new technology, unprepared regulation, applications not worked on…priority was given to launching the “technological marvel” rather than executing a business plan. 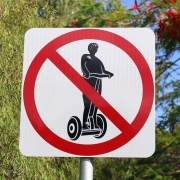 After the launch came the attempts to reduce the price with cheaper versions, develop applications (sightseeing, fleet vehicle for police, airports or even Segway-polo) but it was already late the entire subsequent history of the Segway was perceived as an attempt to minimize the initial great failure. Take-away: design a good product, study the market well and cross your fingers because it is very easy to analyze afterwards the reasons for the success or failure of a product but as the case of the segway or Microsoft with their mp3 players, the market reaction is difficult to predict. It is easy to conclude that the launch plan must be consistent with the overall product plan. In this way it will be easier for product attributes, pricing policy and marketing tools to match the launch channels and most importantly: get the right message to the right audience. Not optimizing this process will cause the cost of launching per unit sold to go up or in other words: with a closed budget for the launch, less sales will be achieved. Product management references have changed over time. In the 1980s, large industrial conglomerates such as GE or Siemens set an example in the handling of various successful products. In the 1990s, it was consumer multinationals such as Nestlé and Procter&Gamble that revolutionised the world with their brand portfolio management. As we entered the new millennium, all the business newspapers highlighted LVMH as the guru of brand/product management, and who would now be the benchmarks in this field? Everyone thinks of Apple as a great brand and product creator, but I think that the ones who are best managing products right now are the sport&artist management companies. Large players such as CAA or Excel mgmt are probably the ones who more intensively deploy all the tools of product management and marketing. Let’s look at a universal example to illustrate this: Madonna. Some will define her as a singer, others as an artist, perhaps some audacious as an actress but the truth is that she is a global consumer product and very successful by the way. Introduction: Madonna appeared in the 80s in a dazzling way. Like a virgin and True Blue were his first two mass albums, which were sold for a whopping 21 and 25 million copies respectively. Growth: records like Like a prayer or bedtime stories and their associated scandals allowed her to grow and establish herself as a mass idol. Maturity: with Ray of light and above all with Confessions… she achieves her zenith: for the first time she brings together mass success and critical recognition. It becomes a musical icon that creates a trend. Decline: her latest albums have gone quite unnoticed and, above all, her movements no longer generate a trend. 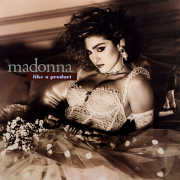 Regardless of the musical tastes of each one, it is indisputable that Madonna has always offered a quality product. He has surrounded himself with the best producers, composers, video directors and designers. A good product is not the result of chance but of the work of very good professionals. Madonna’s offer has evolved and adapted to the needs of her audience. Her provocative attitude, styling and even early videos have nothing to do with the sophistication and detail of her mature age. Perhaps only Bowie can compare to Madonna’s capacity for reinvention. With each album, a new and improved product of the successful “Madonna” brand has been created. Each new “product” included not only the music but also new sounds, new aesthetics, powerful videos and even new public and private scandals (which happened to coincide with the product launch periods). In conclusion, the Madonna brand has been launching successful products on the market for 35 years…we’ll see what its next product upgrade is. I bet on the world tours with a nostalgic wink to attract the 30-50 year old audience who are willing to pay a lot of money to attend perhaps the last tour of the pop queen. Receive news and resources on product management in your email. WeMake Consultores, as data controller, informs you that your data are collected for the purpose of collecting personal data that are obtained through the contact forms available on the website of the company for contacting the applicant and sending advertising bulletins. The legal basis for processing is the consent of the data subject. Your data will not be passed on to third parties unless legally obliged to do so. Any person has the right to request access, rectification, deletion, limitation of processing, opposition or right to the portability of their personal data, by writing to us at the above address, or by sending an e-mail to info@wemakeconsultores.com, indicating the right you wish to exercise. Consultancy in product management for companies that want to anticipate the future.